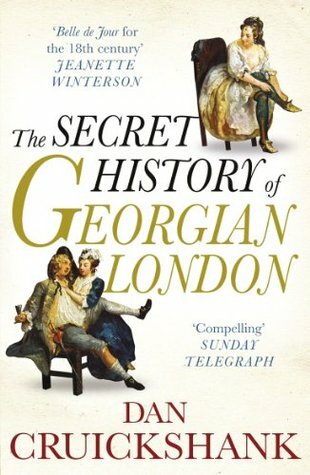 I loved The Secret History of Georgian London from start to finish. It was both educational and entertaining. I enjoyed Cruickshank's prose, which was readable and engaging, and the topic was an interesting one. The Georgian period has long fascinated me and this was another wonderful book to add to my collection of non-fiction on the era. The chapter on Molly Houses was particularly illuminating since I am current writing a novel set in the later Regency period in which one of the characters is bisexual.